Geodata from geodata4edu.ch can be processed in desktop programs by means of the download service or the web services. 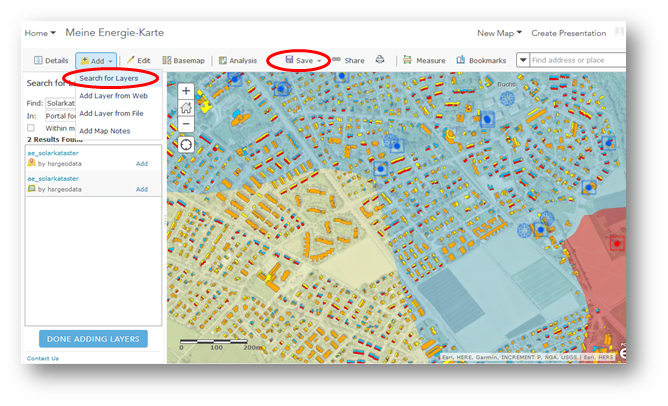 But it is also possible to create your own maps in a browser and share them with other users. For this purpose existing thematic collections in the HSR-Portal for geodata4edu can be used and supplemented or your own maps can be created, supplemented and shared with data on geodata4edu.ch. 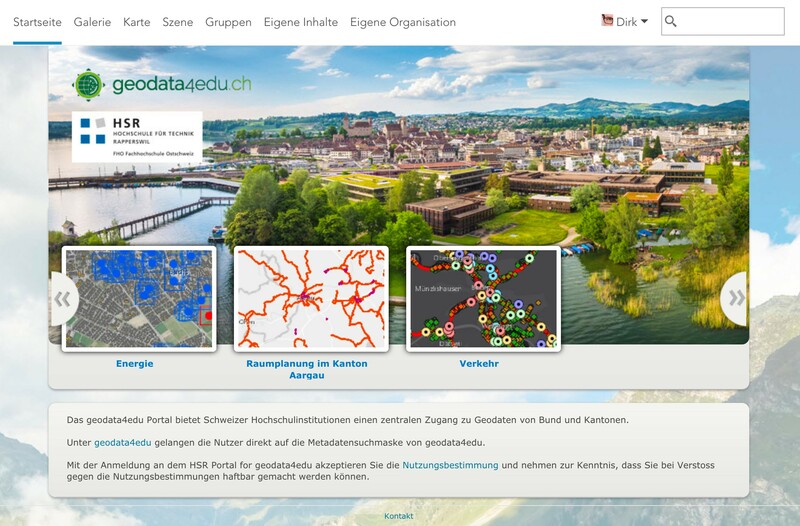 After login, maps are processed on the homepage of HSR-Portal for geodata4edu.ch as thematic collections on the topics of ‘Energy’, ‘Spatial planning in the canton of Aargau’ or ‘Traffic’ based on data from geodata4edu.ch. 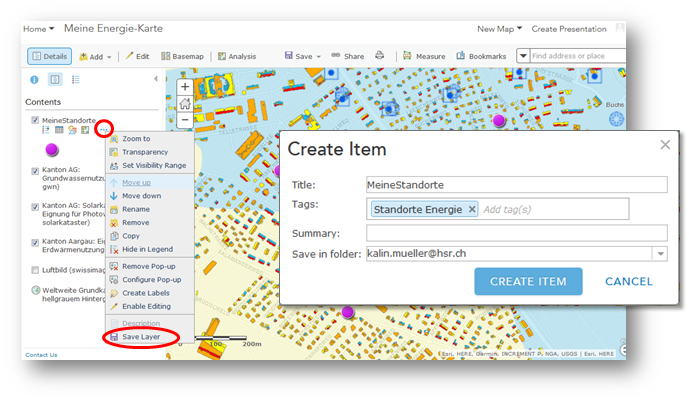 In the HSR-Portal for geodata4edu.ch, web maps can also be compiled from layers present in the portal. The layers are added to the map using ‘Add > Search for Layers’ and the map is then saved. A map must be added to the portal if it is to be supplemented with your own geodata. 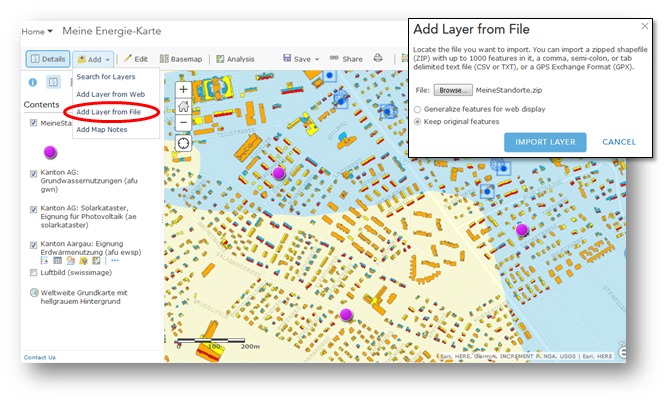 A file can be selected and imported as a layer in the web map using ‘Add Layer from File’. You can import a zipped shapefile (ZIP) with up to 1000 features in it, a comma, semicolon or tab delimited text file (CSV or TXT) or a GPS Exchange Format (GPX). In order to permanently save the data and share it with other users, it must first be saved as a layer by clicking on data layer ‘…’ and selecting ‘Save Layer’. 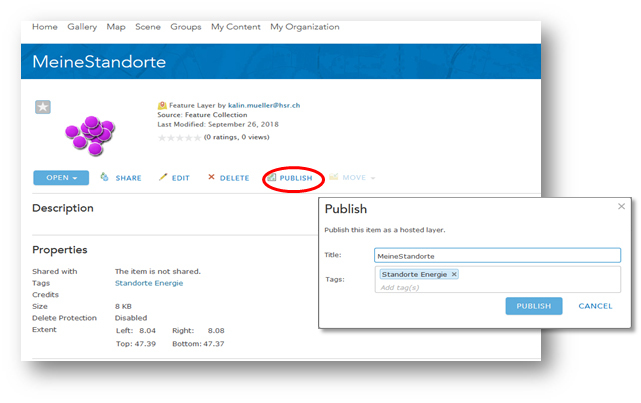 It can then be published as a hosted feature service and shared with an already existing group. 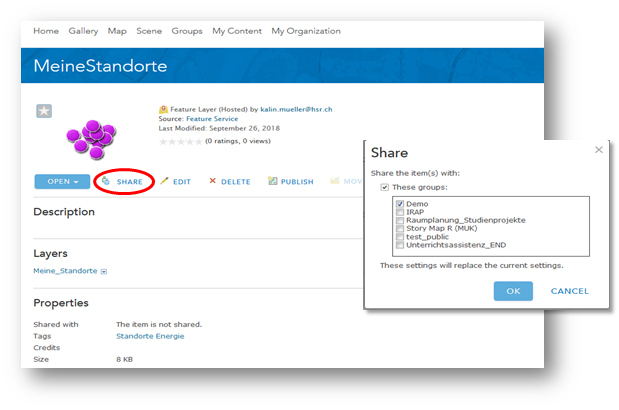 For this purpose the item details must be opened (click in the data layer on ‘…’ and then ‘Show Item Details’) and the dataset published and shared with a group. 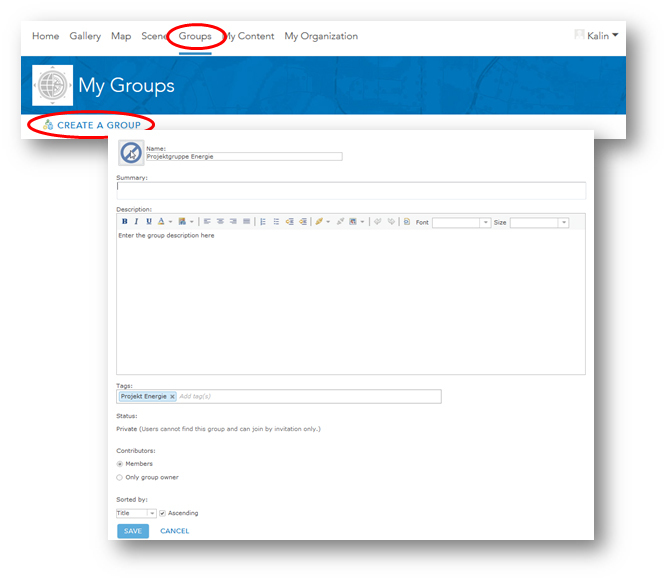 A new group is created in the menu ‘Groups > Create a Group’. 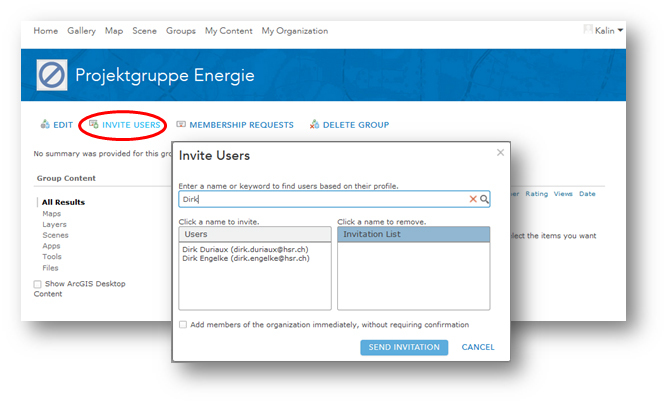 Other portal users can then be added to the group using ‘Invite Users’. Any content shared with this group is available to all group members.